The difficulties in the housing market have been well documented. If you have been trying to sell your home and have been unsuccessful, here’s a tip. 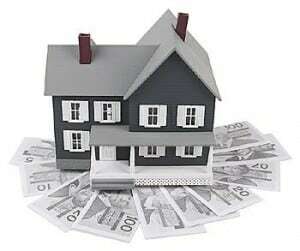 Don’t reduce the asking price (again)¦raise the commission!Realtors will generally charge 6% to list a home. I’m suggesting you increase this to 7%. Will it work for you? I don’t know. It did, however, work for me. It was late 1993 and the real estate market was neither the best or the worst. We were having difficulty selling our house even though it appeared the asking price was reasonable. Our home was very small and our son was getting bigger. It was time to move on. But there were very few showings and no offers. The realtor suggested we drop the price. I knew I didn’t want to do that, so I told her I would get back to her. I called her the next day and told her I wanted to tear up the existing contract. She was taken back until I told her I wanted to increase the commission to 7%. She said she would be right over. What should be a 30 minute ride took her about 15 minutes. Within 48 hours, we sold our house for the asking price. While we paid an extra 1% in commission, this was far less than dropping the price to the amount the realtor suggested. And, oh yeah¦we sold the house! Apparently the increase in commission motivated other realtors to show our house. Evidently, our asking price was reasonable as someone made the offer. However, this strategy won’t work if you are currently underwater (the mortgage exceeds the value of the home), or if you have no equity in your home.